no need for heating when sodium metabisulfite or sodium sulfite is used, since they are well dissolved in aqueous solutions. When sulfur gas is used, pre-heating of sulfuring room helps fruits to take up sulfur dioxide better. 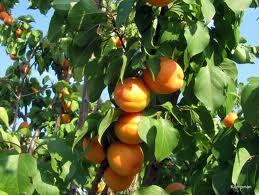 In Malatya apricot growers, however, prefer the elemental sulfur method. After the sulfuring, the fruits are placed in containers under direct sunlight and pits are removed by hand by squeezing each fruit. During the sun-drying process, water content drops to 20-25%. the sulfuring process on human health except for asthmatics. However, European Union Regulation restricts the amount of sulfur in dry apricot to 2000 ppm; the limit is 2500 ppm in Canada and 3000 ppm in the US. Sulfur treatment keeps apricots yellow and is necessary to preserve the dried product for an extended period of time.